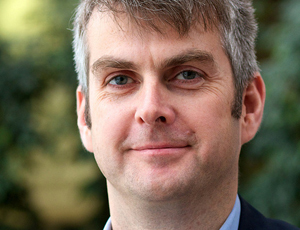 Martin Brookes will step down from his role as chief executive of the think tank New Philanthropy Capital in September to return to the financial services sector. He will join the hedge fund Fulcrum Asset Management. Brookes joined NPC as one of its first members of staff 10 years ago. He arrived from the global investment bank Goldman Sachs, where he was an economist. He started at the think tank as a researcher and became head of research before being appointed chief executive in 2008. At Fulcrum, Brookes will be working for Gavyn Davies, his former boss at Goldman Sachs and a trustee and co-founder of NPC. During his time at the helm of the organisation, Brookes has promoted impact measurement among charities and has made some controversial remarks. He recently told MPs at a select committee hearing that UK fundraising was "not very good" and last year proposed a ranking system for charities according to the benefit they provide. Brookes said that he intended to stay involved in the sector after his departure. He is a trustee of Pro Bono Economics, a charity that aims to link economists with third sector organisations, and said he was interested in becoming a trustee of at least one other charity. In a statement about the move, he said he was sad to leave but that it was time for a change. "I am very proud of NPC and what it has already achieved," he said. "I know it will go on to do so much more in the future, helping charities have an even greater impact on people’s lives. "Although it is time for me to move on to a new challenge, I will remain an ardent supporter and fan of NPC."